A mixture of lentils cooked with lamb in a rich flavour some sauce. Topped with onions, fine ginger stems & coriander. A traditional dish highly recommended. (Chicken/Lamb/Veg/Paneer) – Gourmet dish from sylhet marinated spring chicken or lamb cooked with almonds and mango juice to give a smooth mild taste. 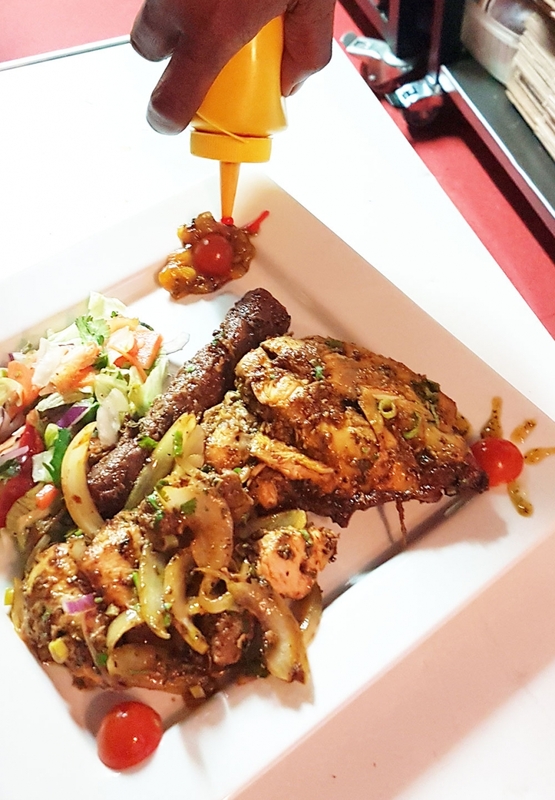 (Chicken/Lamb/Veg/Paneer) – Brochette of chicken or lamb with capsicum, tomatoes & onions cooked in tandoori then pot cooked using traditional herbs and spices. 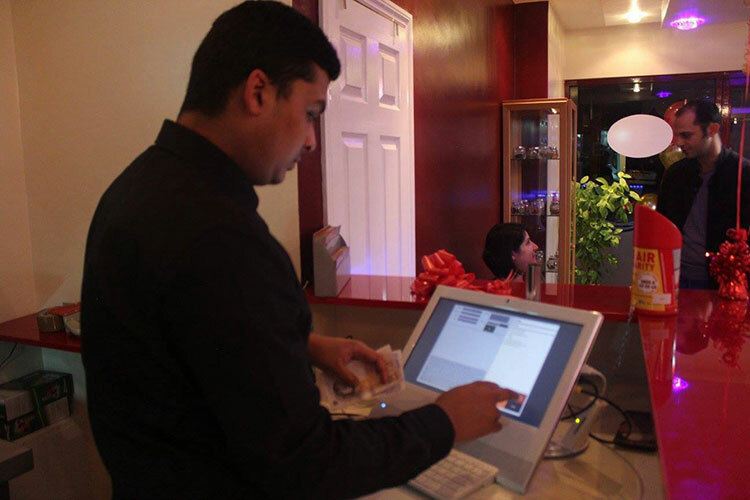 (Chicken/Lamb/Vegetable Tikka/Paneer) – Boneless chicken or lamb cooked in a special masala sauce and spices. King Prawn cooked in a special masala sauce and spices. (Chicken/Lamb/Veg/Paneer) – Delightful method of cooking with whole cumin and tomatoes, flavoured with medium spice. (Chicken/Lamb/Veg/Paneer) – Spring Chicken or Lamb marinated in a fruit sauce with a delicate blend of aromatic spices and herbs simmered in cream & butter. (Chicken/Lamb/Veg/Paneer) – Chicken or lamb tikka, marinated with spices and yogurt and cooked with herbs. (Chicken off the bone/Veg/Paneer) – Tandoori chicken cooked in butter and cream with garlic, cinnamon, ginger in a rich tomato sauce. (Chicken/Lamb/Veg/Paneer) – Beautifully balanced mild curry. 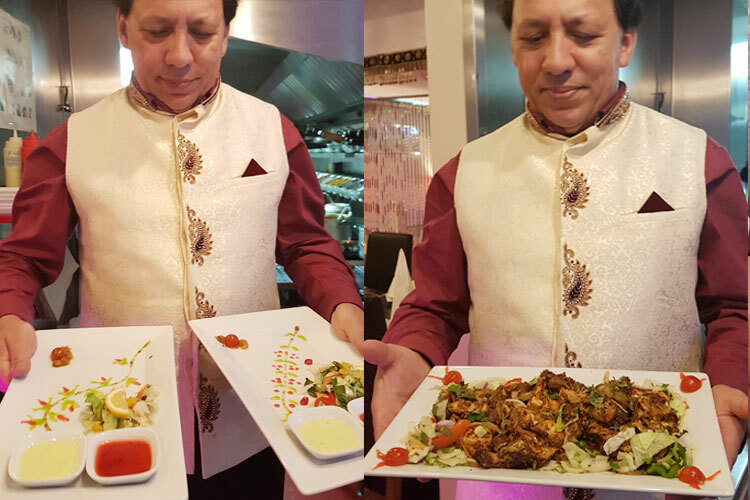 Succulent pieces of chicken or lamb slowly cooked in tandoori oven then delicately pot cooked using mixture of herbs & spices coconut cream & mango. (Chicken/Lamb/Veg/Paneer) – Cooked with green pepper, onion, coriander & homemade spices. 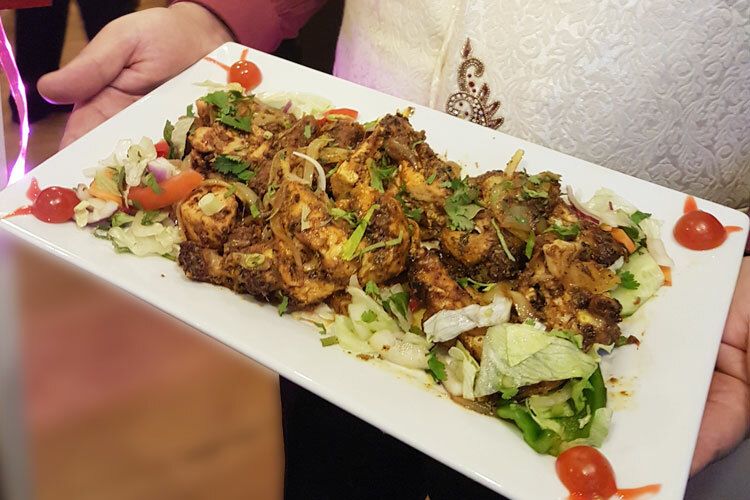 (Chicken/Lamb/Veg/Paneer) – Strips of chicken or lamb marinated in Chef’s selection spices, slowly cooked in tandoori oven then delicately pot cooked using mixture of herbs & spices. (Chicken/Lamb/Veg/Paneer) – Medium hot curry cooked with mango pickle to give a slightly sour taste. (Chicken/Lamb/Veg/Paneer) – Spring chicken or lamb cooked with fresh spinach and chick peas. (Chicken/Lamb/Veg/Paneer) – Pieces of chicken or lamb cooked in a almond, fresh mint & honey in a creamy mild sauce. Chicken Meat, prawn and king prawn cooked with ginger, garlic, green pepper, tomatoes and home made spice. Slowly oven cooked with garlic, ginger, peppercorn, cardamom, cinnamon, bay-leaf until the meat is tender and then cooked with a mixture of freshly ground herbs, mint and coriander. 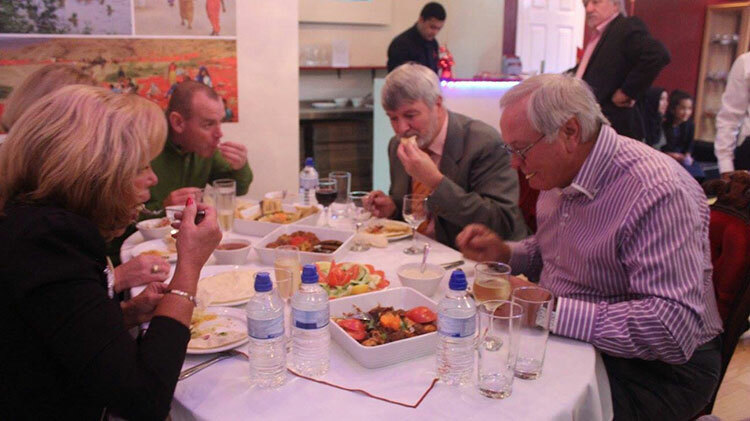 Cooked with chicken tikka, lamb tikka, tandoori chicken and sheek kebab, cooked in clay oven then pot cooked using traditional herbs and spices. Boneless tandoori chicken cooked with mince meat and a hard boild egg in a special masala sauce and home made spices. 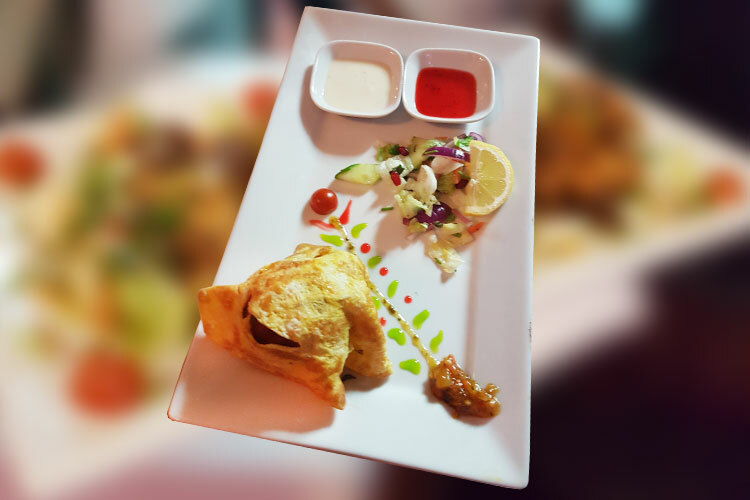 (Minimum 4pp or more) – A very exotic combination of dishes of the day, Chosen and created by our chef, For a party of 4. Its a complete meal includes Starters, Main, Sides, Rice and Bread with jug of ice cold Lassi.